Strategic Goal 3: KASP shall advocate for children's educational and psychological well-being and the profession. 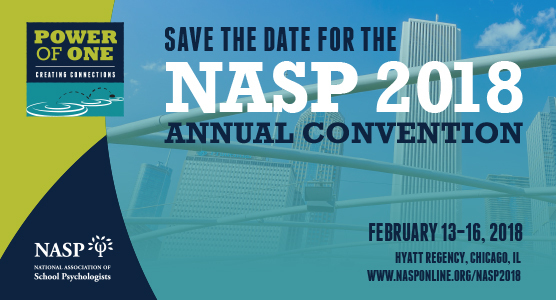 Research and Building Resiliency in the Schools"
Choose from hundreds of educational sessions, converse with leaders in the profession, and experience the amazing architecture and authentic cuisine of Chicago at NASP 2018 Annual Convention. Join us February 13-16 and renew your passion for the profession. "The Neuropsychology of Written Language Disorders: A Framework for Effective Interventions"
"The Neuropsychology of Emotional Disorders: A Framework for Effective Interventions"
Welcome back to the 2017-18 school year! Summer seems to fly by so quickly and the return to work and routines becomes the norm. Sometimes it feels like summer has just begun and the next thing I know it's time to report back to work. As I reflect back on the past school year and plan for the current year, the summer break played a large role in allowing me to feel ready for this next school year. It was a time for recovery, self-reflection, and readjusting my priorities. On the first day back to work, with a day scheduled with meetings, the district school psychologists were asked to come up with one word that described the summer break. There were many responses, some funny (e.g., "tomatoes"; "diapers") with stories behind them, some sarcastic (e.g., "short"; "Non-stop") with more stories, and some personally reflective ("e.g., "happy"; "relaxed"; "productive"; "restorative"). My personal word was "Rejuvenating." After a particularly challenging year, reflection and self-care was a definite personal priority and rejuvenation was needed in order to be mentally and physically able to return to the job. As a school psychologist, our focus tends to be on the needs of others including parents, students and staff. Not only do we look at the issues on an individual level, but also extend our vision to those at a social and institutional level, the impact that decisions being made or actions observed have on the "big picture" of the functioning of our schools and staff, and the impact on district-level decision making. Our days revolve around problem-solving and supporting people, schools, and district initiatives, sometimes to the point of not recognizing our own needs and priorities. The fast pace of our profession, the variety of tasks and responsibilities that we have, and the paperwork that goes along with the job allows little time for self-reflection and self-care during the school year unless we intentionally plan for this time. It's easy to lose yourself to the needs and priorities of others, sometimes pushing your own needs to the back shelf to be taken out at a later time for review. Sometimes those needs get so deeply buried, that self-awareness is repressed in order to just function on a day-by-day basis. Functioning at that level is not much fun, leading to burnout and loss of the vision of what a school psychologist is, the impact you have on others, and interferes with your own personal functioning outside of the job. So, the one word I chose for this year is "Self-Care". Self-Care is described as any activity that we engage in deliberately, in order to care for our own mental, emotional, and mental health. It is not a selfish act, even though time may be taken away from others in order to address our own personal needs. It shouldn't be something that others force on you, but one that you prioritize as a necessity in order for you to be able to care for and support others in your personal and professional life. Self-Care is something to enjoy, to please yourself, to meet your own personal needs. By prioritizing and taking care of yourself, the ability to "be there" for others, becomes easier and more enjoyable and not a responsibility or another thing on your "to do" list. Apparently, to my surprise (although it seems that there are always underlying "rules" to everything), there are "golden rules" to self-care that one needs to be aware of including: making it basic--finding your own rhythm and routine; actively planning for self-care, making an active choice and respecting that choice; being self-aware of the "what" you do, the "why" you do it, the "how" it makes you feel, and the resulting outcomes; determining what's on your "no" list and sticking to it; attending to your own physical well-being, including eating healthy, sleeping 7 to 8 hours a night, exercising (increasing your serotonin levels), actually going to the doctor for preventative care, intentionally relaxing or meditating on a daily basis, and allowing for a 30 minute "unwind" time each day. Spending quality family time and planning one pleasurable activity every day. Laugh. As I looked at the "golden rules", I thought those were overwhelming in and of itself! This definitely was NOT going to be doable. That's where the intentional relaxation and meditation came in handy. If you think about Maslow's Hierarchy of Needs, which stated that "people are motived to achieve certain needs and that some needs take precedence over others", our first basic need is physiological. Hence, the need to eat well, get enough sleep, and taking care of our own personal physiological needs. The second need, safety, builds on those physiological needs, leading to the third level, belongingness and love, allowing us to develop relationships with others and the ability to "be there" for them. With those interactions with others, the accomplishments that come from our interactions and goals meet the 4th level, esteem needs. These two levels (belongingness and love and esteem) meet our own psychological needs. With the top level, self-actualization, or achieving one's full potential, being built upon the solid foundation of all 4 levels. If we choose to ignore the first level (physiological needs), or any of the other levels, the hierarchy becomes unstable and we lose our ability to effectively interact and support others, and the ability to reach those goals that we have set for ourselves. At any one time, we may move between levels due to life experiences or get "stuck" at a level, with few (a reported 1 in 100) reaching self-actualization in their lifetime (kind of depressing odds, from my viewpoint!). Now, in addition to Maslow's original hierarchy, they have since added cognitive needs (i.e., knowledge and understanding, curiosity, need for meaning and predictability) and aesthetic needs (i.e., appreciation and search for beauty, balance, etc.) as well as transcendence needs (i.e., helping others to achieve self-actualization). Yep, someone made reaching self-actualization even more complex (not that I disagree with the additions, but when you're overwhelmed to begin with, the longer the list is the less doable it seems to be). So, it was in my best interest to simplify the list. After all, it simply comes down to Self-Care--taking care of yourself first. Make yourself a priority, be more intentional about what you choose to put into your body, what you choose to say "yes" to, to what your end goal in life is. Your happiness and contentedness is the foundation upon which all your relations are built, as well as your ability to reach out and help others. Don't forget about "you" and your needs. YOU are your priority. The rest will come much easier when your physical body is first taken care of, and your own mental well-being is nurtured. The rest is a bonus at this point and part of the 5-year plan (I seem to have a 5-year plan for everything--it makes it so much more doable!). So, with that said, after being back on the job for two weeks, I find myself sliding back into old habits--skipping lunch, drinking way too much caffeine, working long hours, etc. Making myself intentionally stop and reflect at this point (yes, I ACTUALLY put this on my calendar--I know myself too well), to determine if this pattern will make me physically and mentally healthy, to be able to support those around me at the level that I am comfortable with, and to be happy with what I do OR will this make me feel disgruntled, overwhelmed, burnt out and dissatisfied. In the end, the choice is mine. Am I worth that priority? Self-Care. Yes, that's my word for the year. What's yours? The KASP Board convened in Manhattan, Kansas on Saturday, August 5, 2017. Guests to the KASP Board included Colleen Riley, KSDE Director of Special Education, and Evenly Alden, KSDE Special Education and Title Services. Representatives from KSDE joined the KASP Board for a discussion on school psychologist shortages in the State of Kansas. The KASP Board discussed a need to be proactive on the shortages currently occurring in Kansas, reviewing information provided by NASP, as well as information provided by representatives from the states of Montana and Colorado, whom have addressed shortages in their states, revised licensure in their states to assure the standards of school psychologist licensure continue to meet NASP Standards, and working with universities in order to rectify other mental health professionals as school psychologists in as efficient and effective manner as possible as one solution to meeting the shortages in their states. The KASP Board discussed the current shortages with KSDE and discussed concerns that have been expressed by school psychologists, survey results completed by KASP members regarding the number of school psychologists potentially leaving the field by 2020, and the number of students currently in the school psychologist training programs. Currently, the number of school psychologists anticipated to leave the profession in the next two years exceeds those that are currently in the training program, which will contribute to the shortages noted in the state. KASP has been involved in activities over the past 8 years in order to advocate for school psychology including: testifying in front of House Education Committee in 2009 regarding a stipend for having an NCSP certification, adding an advocacy goal to the KASP strategic plan in 2016, development of a student brochure in 2016, collaboration with the counselor and school social worker associations at a Lobby Day in Topeka in February of 2017, collaboration with NASP, and outreach to other states to gather information on how they have addressed school psychologist shortages and licensure issues. The KASP Board will continue to gather additional information, collaborate with University school psychologist training programs, further define the role of a school psychologist, and reach out to other agencies and organizations that may assist with the current issues noted. The Spring Conference of 2017 (Jim Wright, Intervention Central) was discussed and reviewed. Overall, 83% of the attendees rated the conference as "excellent". Feedback was discussed and documented for future spring conferences. The Spring Conference of 2018 plans were reviewed and plans for Dr. Steven Feifer as the main speaker were finalized. Discussion was also held regarding further development of a KASP speakers bureau to assist with future training needs. Regional Updates were provided by regional representatives. Discussion was held surrounding regional trainings, with plans for the Central Region, Southeastern Region, and the Western Regions to provide regional trainings in October or November (during School Psychology Awareness Week (SPAW)). The Northeastern Regional Director was not in attendance to discuss plans for training in that area. The KASP Fall Convention of 2018 was discussed, finalizing the schedule, fees, and items that would need to be voted on at the Membership meeting on Friday. Regional meetings will be held at the convention, with focus on future professional development needs and a discussion of area shortages to occur. The KASP Constitution was reviewed to update wording and changes needing to occur in the constitution and bylaws. Proposed changes will be sent to the membership for review and voted upon at the fall convention. Kyle Carlin, KASP Past-President, has participated as a member in the KSDE ESSA Advisory Committee Meetings. On August 1, 2017, the State plan was released for public comment. The plan does not cover everything within the KESA Accreditation and Accountability plan; however, it covers the minimum of what must be reported under ESSA. The State Plan will be submitted to the US Department of Education in September after public comment and subsequent revision. The plan was shared with KASP Members on Wednesday, August 2nd. KSDE has also developed a Mental Health Advisory Council. The first meeting will convene on August 25, 2017 in Topeka, KS. KASP is seeking representation on the council if possible. 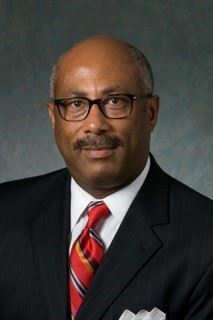 President-Elect: The President-Elect attends KASP Executive Board meetings, prepares for his/her duties as President, and assists other officers or officials as is necessary. The President-Elect and the President is expected to attend the annual NASP convention and the Regional Leadership Meeting. The President- Elect also works with the Treasurer to develop a budget for the year that they serve as President. The budget would likely be developed during December and then presented at the board retreat in January. Assist President with fall convention as needed. Develop goals for term as President -the concerns or issues that will need to be addressed. Attend NASP Regional Leadership Meeting and the National Convention (February). Develop Budget for their presidential year with assistance of the Treasurer. Type up summary of Regional Leadership Meeting for The Kansas School Psychologist. Participate in KASP Leadership Retreat (January) and organize for year as President. Associate Editor: The primary function of the Editor and Associate Editor is to publish a minimum of four newsletters (The Kansas School Psychologist) per year. They shall coordinate any other publications as determined by the Board. This is a two-year position with election to the Associate Publications position for the first year. The Associate Editor will be mentored during his/her first year and will share in publication duties. The Associate Editor will become the Editor/Publications Chairperson for the second year of his/her term. Regional Directors: The primary responsibilities of the Regional Directors are to inform and survey their constituents on important issues and report the results of surveys to the Board. Regional Directors also support the Membership/Public Information official by developing membership in their region and identifying District Liaisons from each independent agency providing school psychological services i.e. school district, Cooperative, Interlock. Regional Directors organize regional meetings for members of their region. Regional Directors also help the Past President in soliciting nominations for officers and officials. They also work to solicit nominations for Edna Harrison Awards, Action Research Grant, and School Psychologist of the Year. The Treasurer is instructed to report the account type and interest rate for KASP funds on each Treasurer’s report. The Treasurer will keep a description of each line item in the budget indicating from which line item expenditures will come. The Treasurer shall keep a separate record of income and expenses from the conventions. The Treasurer is responsible for filing each year the incorporation renewal with the State of Kansas. Annually, the treasurer should provide to the Editor of the organization’s newsletter, The Kansas School Psychologist, a copy of the board approved KASP budget for the year. Do you want to give back to the profession of school psychology? Serving on the KASP Board is a fantastic opportunity! If you are interested in serving on the KASP Board for 2018, please contact Kyle Carlin, KASP Past-President. Can't commit to the current year? Submit your interest in serving on the board for 2019. We'd be happy to hear about your interest! Any active KASP member may run for on open position on the board. We'd love to have your input and participation! Several years ago, something happened that changed the way I think about school psychology and how I train school psychologists. During a break at a PREPaRE workshop, a school psychologist working at a middle school approached me. He shared that while I was defining trauma and crisis, he realized that his entire school staff was currently traumatized and in crisis as a result of all the recent emphases on the Common Core, standardized testing, and personnel evaluations. His words touched a chord in me and I reflected deeply on what he said. Similarly, I have more than once heard from former students who lament the fact that they did not know that their lives as school psychologists would be so stressful. The defeat in their voices made me wonder if there was more I could do to prepare them. This work describes a journey I have undertaken that has revealed a detrimental omission in the way we train and practice as school psychologists. The good news is that steps can be taken to remediate the omission and a whole new generation of school psychologists can learn how to protect themselves against burnout and, more fundamentally, care for themselves in proactive, healthy ways. Self-care is an ethical imperative of the utmost importance. For the purpose of this discussion, this claim is supported from three perspectives: (a) ethical codes, (b) burnout literature, and (c) neuroscientific research on the development of the prefrontal cortex; followed by a brief description of global self-care intervention. The conversation begins in the field of ethics itself. Regardless of the field of practice, the universal ethical principle across all professions is do no harm. Specifically, “School psychologists have a legal as well as an ethical obligation to take steps to protect all students from reasonably foreseeable risk of harm” (NASP, 2010, p. 2). Several authors writing in the area of clinical psychology have urged us to “[b]egin self-care at the top” (Norcross & Guy, 2013, p. 752) by petitioning professional associations to explicitly include self-care in their ethics, accreditation standards, and beyond (Barnett, Baker, Elman, & Schoener, 2007; Norcross & Guy, 2013, Wise, Hersh, & Gibson, 2012). The NASP Principles for Professional Ethics (NASP, 2010) hold school psychologists to the highest standards. Yet, noticeably absent is any explicit mention of self-care in service of that high calling. The same omission is found in the American Psychological Association Ethics Code (APA, 2002). However, self-care is implied in both documents where they highlight the importance of psychologists, in their words and actions, demonstrating respect for and a commitment to just and fair treatment of all individuals with whom they work (APA, 2002; NASP, 2010). Although self-care is necessary to ameliorate one's “personal problems,” in a field that has prevention as one of its 10 prioritized domains, proactive self-care should be one of the ethical standards in its own right. In the same way that mental health is much more than the absence of mental illness, nurturing positive emotional states through self-care is not the same as alleviating harmful disruptive emotional states after the fact. Additionally, the American School Counselor Association (ASCA, 2010) mandates that school counselors “practice wellness” for optimal ethical practice. Professional school counselors … E.1.b. Monitor emotional and physical health and practice wellness to ensure optimal effectiveness. (ASCA, 2010). Jacob et al. (2011) define ethics as a “system of principles of conduct that guide the behavior of an individual” (p. 1). We require school psychologists to employ best practice; to accomplish this they must be at their absolute best. If this is true, it follows that one of the principles of conduct that guides behavior in the field of school psychology without question must be to proactively practice self-care. Is it really necessary to legislate self-care? The answer is a resounding yes. There is an epidemic of stress in our society today and working in schools can be the epitome of stressful, especially in the current climate. Stress that is not mitigated effectively can lead to burnout. Those who practice in the mental health field have very high burnout rates due to the stressful nature of the work (Barnett et al., 2007; Shapiro, Brown, & Biegel, 2007; Wise et al., 2012). 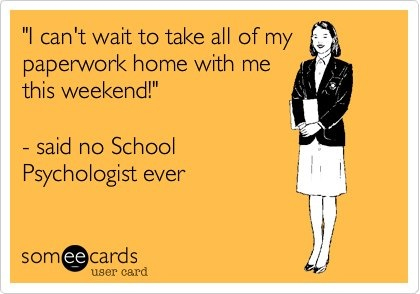 Moreover, school psychologists may have the highest burnout rates among all helping professionals (Burden, 1988; Huebner, Gilligan, & Cobb, 2002; Wise, 1985). Perhaps, this is due in part to the fact that “psychologists employed by the schools may have less control over aspects of service delivery than practitioners in private practice” (NASP, 2010, p. 2). According to Maslach, burnout is defined as “a syndrome of emotional exhaustion, depersonalization, and reduced personal accomplishment that can occur among individuals who work with people in some capacity” (Maslach, 1986, p. 61). Emotional exhaustion develops when work demands exceed personal resources, resulting in weariness to the point of no longer caring. Depersonalization happens as a consequence of not seeing people as people any longer but, instead, as problems to fix. Perceptions of reduced personal accomplishment foster a learned helplessness of sorts—the realization that no matter how hard one tries, nothing makes a difference. Maslach and Leiter (1997) cite work variables that can lead to burnout: work overload, lack of control, insufficient reward, unfair treatment, breakdown of community, values conflict, and lack of fit between the person and the job. There is a strong likelihood that anyone who works in schools has experienced at least one of these work variables at some point in their career. To counteract the negative mental health effects of stress and burnout, practitioners must take care of themselves before they can care for others; otherwise, those with whom they work may be put at risk. “Poor therapist self-care is associated with increased personal vulnerability, reduced self-monitoring, poorer judgment, and, as a result, greater ethical breaches” (Keith-Spiegel & Koocher, 1985 as cited in Porter, 1995, p. 248). In contrast, characteristics of a healthy fully engaged worker are: energetic, involved, and efficacious (Maslach & Leiter, 2008). These characteristics can be cultivated through self-care. Wityk (2003) maintains, “Self-care is one of the primary methods of preventing and treating therapist burnout” (p. 5). Furthermore, when discussing the sometimes seemingly insurmountable stressors psychologists face that can lead to burnout, Barnett pleads, “[W]e must engage in active attempts to effectively manage these challenges and demands through ongoing self-care efforts. Failure to do so may result in harm to our clients, our profession, ourselves, and others in our lives” (Barnett et al., 2007, p. 603). In the literature on burnout prevention in mental health professionals, several authors address preservice interventions. The importance of emphasizing and practicing self-care in preservice training programs increases the odds that self-care will be practiced in service (Barnett et al., 2007; Bamonti et al., 2014; Heubner et al., 2002; Newell & MacNeil, 2010; Shapiro et al., 2007). One way this can be done is through the modeling of wellness, stress management, and personal growth by faculty (Heubner et al., 2002). Self-care facilitates these positive psychological states. If self-care figures so prominently at the training level for protecting against practitioner burnout, shouldn't it be included in training standards? At least one helping profession agrees. Section 2.F.1.l. of the Council for Accreditation of Counseling and Related Educational Programs (CACREP) states “self-care strategies appropriate to the counselor role” must be included in the training curriculum included in Area 1. Professional Counseling Orientation and Ethical Practice (Retrieved from http://www.cacrep.org/section-2-professional-counseling-identity). To address concerns about maintaining well-being and practicing effectively given the current stressful educational landscape, I resolved to promote self-care to members of my community (inside and outside the university). My efforts to promote self-care and subsequent outcomes will be described in Part 2 of this article published in next month's issue of Communiqué. Jacob, S., Decker, D. M., & Hartshorne, T. S. (2011). Ethics and law for school psychologists (6th ed.). United Kingdom: Wiley. Maslach, C. (1986). Stress, burnout, and alcoholism. In R. R. Kilburg, P. E. Nathan, & R. W. Thoreson (Eds.) Professionals in distress: Issues, Syndromes and solutions in psychology (pp. 53–76). Washington, DC: American Psychological Association. Maslach, C., & Leiter, M. P. (1997). The truth about burnout. San Francsico, CA: Jossey-Bass. Newell, J. M., & MacNeil, G. A. (2010). Professional burnout, vicarious trauma, secondary traumatic stress, and compassion fatigue: A review of theoretical terms, risk factors, and preventive methods for clinicians and researchers. Best Practices in Mental Health, 6(2), 57–68. Norcross, J. C., & Guy, J. D. (2013). Psychotherapy self-care checklist. In G. P. Koocher, J. C. Norcross, & B. A. Greene (Eds. ), Psychologist's desk reference (pp. 745–758). New York, NY: Oxford University Press. Porter, N. (1995). Therapist's self-care: A proactive ethical approach. In E. J. Rave & C. C. Larsen (Eds.) Ethical decision making in therapy: Feminist perspectives (pp. 247–266). New York, NY: Guilford. Wityk, T. L. (2003). Burnout and the ethics of self-care for therapists. Alberta Counsellor, 28(1), 4–11. This is Part II of a two-part article. Part I, published last month, highlighted the ethical mandate for self-care among school psychologists to effectively manage stress and prevent burnout. Part II describes an effort to promote self-care, its application to preservice training, and student responses. Recognizing the critical need for self-care not only for graduate students but also for school professionals, pro bono self-care workshops were offered last year and eagerly attended by colleagues in public school districts across the state of Connecticut. School psychologists and teachers seemed desperately to want permission to set aside time to focus on themselves. Initially, it appeared that the ethics and burnout arguments for self-care were not persuasive enough to extract a long-term commitment until two additional pieces were added to the message. The first was a neurobiological explanation of the importance of being good role models for students and how self-care facilitates being at one's best. The second is increasing the likelihood that people actually engage in self-care by helping them customize a plan that works for them, including strategies that have long lasting effects. We are a perverse profession when it comes to self-care. We self-sacrifice; we put others first; it's who we are. There is a reluctance to take care of oneself because it is perceived as being selfish. Neuroscience research describing the development of a child's prefrontal cortex (see Hatfield, Cacioppo, & Rapson, 1993; Montgomery & Schore, 2013; Moore, Pfeifer, Masten, Mazziotta, Iacoboni, & Dapretto, 2012; Porges, 2004) was shared to persuade workshop participants and students to put themselves first for the sake of the children with whom they work. The prefrontal cortex, where responsible decision-making and self-regulation occur, is still developing until the mid-20s for some. Youth learn to self-regulate through emotional contagion (“catching” another's emotions by unconsciously mimicking facial, vocal, and postural feedback) and mirror neurons (transmission of internal states from one to another). The condition of an adult's nervous system, as expressed in the adult's behavior and perceived by the student, has a great influence on children and youth–more so than what comes out of an adult's mouth. A child's parasympathetic nervous system is incomplete; it is completed through the unconscious attunement to adults in their environment–for better or for worse. Once, after I had shared this simplification of brain science with a group of teachers, one of the teachers looked a bit horrified. She recounted an incident that had happened that afternoon with her class. She was walking around the room, as she often did, telling her students to “relax.” But she herself was clearly not relaxed and the students got louder and more unsettled until she realized, not in the moment but in the workshop, that she was shouting “Relax!” in an extremely unrelaxed way. It was a powerful moment for the group and really drove home the critical importance of our ability as adults to provide a calm, self-regulated presence for students’ nervous systems to involuntarily emulate. This is especially crucial for those children who may have unstable, dysregulated adults in their home environments. I have found this information to be most persuasive in motivating practitioners to commit to engaging in self-care. It is a somewhat counterintuitive mindset that cares for the self before others, especially for a school psychologist. The goal is not just to mitigate burnout, but to proactively promote well-being. In the field of school psychology, putting all others before oneself is the norm. Practicing self-care proactively requires a drastic paradigm shift. Consequently, workshops were designed according to the ADKAR model for change (Hiatt & Creasy, 2003). Hiatt and Creasy maintain that there are five steps for promoting successful change: 1) raise Awareness for the need for change, 2) nurture a Desire to participate in the change, 3) provide Knowledge regarding how to change, 4) develop the Ability to change, and 5) Reinforce the change. The workshop content described below is not provided to preservice graduate students in as concentrated a form; instead, using the same model for change, students receive content gradually and repeatedly throughout their program (e.g., practica and internship classes begin with a 5–10 minute self-care strategy). Professional workshops were developed corresponding to the ADKAR steps as follows. Raise awareness of need to change. Using video clips, empirical data, and neurobiological research, participants were introduced to self-care as an ethical imperative. I define self-care as the intentional, proactive pursuit of integrated wellness through balancing mind, body, and spirit personally and professionally. This definition has several elements. Intentional means to do something deliberately. It is a purposeful premeditated act (self-care should be planned and scheduled to ensure it is accomplished). To be proactive is to be preemptive (doing something before it has to be done). It is the difference between treating mental illness and promoting mental health. It is essential to proactively practice self-care; otherwise, one is likely to miss warning signs of imminent burnout. Integrated refers to caring for and functioning as a whole person. Finally, to achieve balance one must attend to all aspects of their person (mind, body, spirit) with equal frequency. Nurture a desire to change. A rationale for and benefits of practicing self-care were shared to create an incentive to engage, including ethical behavior, avoiding burnout, and the effects of adults’ internal states on children. Mindful awareness practices (MAPS) were introduced as a means for creating a calm emotional state (Crum, Salovey, & Achor, 2013; Jazaieri et al., 2013; Neff, Kirkpatrick, & Rude, 2007). MAPS comprise a variety of nonjudgmental, present-moment focus strategies and produce two primary benefits: (a) greater focused attention and (b) self-regulation (Holzel et al., 2010). There is an emerging literature demonstrating the benefits of educators avoiding burnout through practicing mindfulness. One study found that teachers’ mindfulness was negatively correlated with Maslach's burnout components: emotional exhaustion, depersonalization, and perceptions of low accomplishment (Abenavoli, Jennings, Greenberg, Harris, & Katz, 2013): There are other researchers who have found similar results using mindfulness as a primary self-care intervention for educators and therapists to effectively manage stress and combat burnout (see for instance Flook, Goldberg, Pinger, Bonus, & Davidson, 2013; Jennings, Frank, Snowberg, Coccia, & Greenberg, 2013; Roeser, Skinner, Beers, & Jennings, 2012; Shapiro, Brown, & Biegel, 2007). Provide knowledge of how to change. After reviewing the literature, I conceptualized two categories of self-care: temporary and enduring. When employing temporary strategies, neurotransmitters are released in the brain depending on what is happening in different regions. For example, dopamine is released when gratitude is practiced, while norepinephrine is discharged when looking at a picture of a loved one (Hanson, 2013). Examples of temporary strategies are spending time with friends (spirit), eating more protein (body), and reading for pleasure (mind). These strategies do not have long-lasting effects because the “feel good” neurotransmitters are released and then subside. Enduring strategies permanently strengthen the neurological functioning of the brain (see Carter, 2015; Davidson & Begley, 2012; Hanson, 2013; Newburg & Waldman, 2009). Simply put, when information flows through the nervous system, consciously and unconsciously, and neurons fire collectively in regular patterns based on the information represented, neural structures change. Enduring strategies have a mindfulness component. Activities in this category include practicing mindfulness (spirit) and gratitude (spirit), journaling positive events (mind), being awe inspired (spirit), exercising aerobically (body), and conversing about abstract ideas (mind). Develop ability to change. Participants practiced various self-care strategies to determine those that felt comfortable. Reinforce the change. The final portion of the workshop was devoted to developing comprehensive self-care plans, using SMART goals (Specific, Measurable, Attainable, Relevant, Time-Bound) to create habits that cement self-care into daily routines. An example of a temporary SMART goal is: I will meet a friend for a dinner or a movie on the last Friday of every month (spirit, mind, and body). An example of an enduring SMART goal is: After making my tea in the morning, I will focus on my breath for 7 minutes and then study one chapter in my Bible (spirit and mind). As mentioned, the most critical element in developing a self-care plan is to choose strategies that are likely to be regularly utilized based on particular stressors and life circumstances. Proactively practicing self-care is a necessity to productively manage stress and prevent burnout and, as such, should be required practice and reflected in all professional documents, including those that guide ethical behavior and training. Specific issues can be addressed by practicing concepts like taking in the good to increase optimism (Hanson, 2013), for example. Self-care may seem out of reach for those who think they are too busy (or too anxious, depressed, physically hurt, etc.). But there are strategies that can actually reduce perceptions of busyness by finding the minimum effective dose (Carter, 2015). Selecting the right self-care activities and applying them consistently in small quantities several times a day can help to alleviate the negative effects of stress (Carter, 2015; Hanson, 2013). Small efforts can produce big returns. Carter, a former marathon runner describes adjusting her expectations so she can be more efficient with her time, ultimately feeling less busy and doing more. She goes on to write that she is stronger, physically healthier, pain-free, and sporting her prepregnancy, athlete weight by exercising consistently in small doses. For this reason, workshop participants are encouraged to thoughtfully develop their self-care plans and adjust them as often as necessary. In preservice training, self-care has been increasingly spotlighted in my courses in the last 2 years, from the first introductory course to the last internship seminar. Students in a variety of ways have informally highlighted the importance of intentionally making self-care a focus of the program. Primarily, appreciation for the self-care focus has been anecdotal. Students have brought up the wisdom of practicing self-care in conversation with advisors and in class, and a few students have referenced their gratitude for self-care in my course evaluation data. As described in the literature and in the personal stories of alumni, being a school psychologist is an extremely challenging job. The most persuasive and poignant data I have that self-care is a worthwhile preservice initiative is from unsolicited intern reflections I have received over the last 2 years. I secured permission to share them and I have included excerpts from two of them here. As a child, my parents always taught me how important it was to go to work. They embodied the concept of a “Protestant work ethic” and expected me to follow in their footsteps. Regardless of their health condition, they would arrive at work to do their duty and make sure to take care of their responsibilities. In addition to going to work, they would ensure that everyone else's needs were met before their own. They always emphasized hard work, dedication, and most importantly, putting others before you. No matter what, they found a way to take care of family members, coworkers, and friends even at the expense of themselves. Therefore, when I began this program I found it very difficult to grasp the concept of self-care. As I began to practice self-care, I struggled to fully accept the idea and was concerned that practicing self-care would be contrary to my family's values. In fact, at times, I felt like putting myself first was selfish or even self-indulgent. Certainly, I did not want to be accused of being self-absorbed. However, I found that taking a small amount of time to practice self-care helped me to feel better and be more efficient. In the end, I found myself having an internal debate about self-care. As the new school year approached, I started to think about how I could be the best me and what goals I could set for myself. While searching the Web, I found a quote that spoke to me: “Self-care is not selfish. You cannot serve from an empty vessel.” The more I thought about the quote, the more I realized that I needed to make self-care a priority. I have come to accept that I need to take care of myself and that self-care is an act of survival. I need to find a way to be as compassionate toward myself as I am to others. I recognize that self-care is not narcissistic or selfish but an act of self-respect. So this year, I promised myself to take time to practice self-care and take time off when I am ill, ultimately knowing that taking the time to practice self-care will help me to be healthier, happier, and better equipped to do my job. All that being said, I am proud to say that when I got sick recently, I stayed home. Despite feeling a bit guilty, I resisted the temptation to go to work ill. I was proactive and went to the doctor. While this may not seem like a big step to some, this was a huge success for me. Overall, I am thankful that my graduate program has challenged me to practice self-care. In the past week, I developed a tonsil infection, learned I am allergic to clindamycin, and have a pending referral to visit an ENT to explore the possibility of surgically removing my tonsils. Being sick and having to slow down has made me focus a lot on self-care, which has made me reflect on the impact of our program on my practice of self-care. It may not seem related to self-care, but I am glad on a weekly basis that I got into Fairfield [University]. The truth is, I have taken horrendous care of myself through my academic career and hadn't really realized the extent of which until this week. I am no stranger to all-nighters, or to forgetting to eat or drink water while completing work, or to consuming far too much caffeine to try to get myself through “the rest of the day,” when I knew I was going to continue the same pattern all week just to keep up. When I got to Fairfield, I was sleeping between 4 hours and 30 minutes a night, driving over 2 hours a day 6 days a week, and consuming probably 250mg of caffeine daily just to keep myself from falling asleep behind the wheel, at work, or in my classes. I spent all my time working, going to school, commuting, and taking care of other people who took my effort for granted. I was not taking care of myself. Naturally, this had an impact on my mood and my body. I was angry and sad and afraid most of the time, doubting my choice to continue directly into graduate school instead of taking a year off, and feeling like I was barely able to keep my head above water. I made it through my first year and decided to continue on with the program. At the beginning of year 2, I really started to notice the effect that caffeine and sleep deprivation was having on my body. In our counseling methods class, I volunteered to share the difficulties I was having with sleep and got to explore some different options for changing my habits. I made little progress in changing these habits that semester, but I was becoming aware that this was not a sustainable way to live if I didn't want to burn out in my first year on the job. Things started changing for me when we started practicum supervision. Practicum supervision really woke me up to the amount of stress I was under and how little I did to cope with that stress besides smash it down inside and try to go about my day as normal. As we started to go through our different group facilitations, I noticed that I was almost always close to tears, and that my back was holding so much tension that my hands frequently felt numb. I set goals for myself based on our screening tools: I wanted to get at least 6 hours of sleep a night, and spend time doing physical activity instead of spending all of my free time lying in bed watching movies and YouTube videos. Sure enough, as I started to make changes, I started to feel a little better. I cut down on caffeine because of a recommendation by my doctor. I started practicing yoga during some of my free time. At the end of the semester, I made the commitment to find a counselor by the end of the summer to develop better coping skills for dealing with stress. Without the facilitation of honest reflection and skill building that has been built into our program, I know now that I would have burnt out. I have been too hard on myself with the standards that I set for my own behavior and what I expect that I should be able to do in a day. I have to slow down and listen to my body. Thank you for focusing on self-care with us. I think this is something that many more academic programs need to explicitly teach as a prevention strategy. Consider this analogy. At the beginning of every airline flight, passengers are told, in the event of a drop in cabin pressure, to put on their own oxygen masks before helping others. These instructions ensure that the persons who are in a position of responsibility are not compromised so they can do what needs to be done to care for others. It recognizes that people cannot help those in their charge unless they protect themselves first. Even this analogy is slightly flawed in that it does not account for the proactive, self-aware necessity of self-care that would not require a reminder to put on the oxygen mask first because the primacy of self-care has been ingrained. A healthy school psychologist has appropriate boundaries, objective insight into the issues of those with whom they work, the ability to self-regulate their behaviors, and is a model for wellness and adaptive coping. That can only happen through ongoing self-care. It is posited here that proactively practicing self-care is a necessity for school psychologists to productively manage stress and prevent burnout and, as such, should be required practice and reflected in all professional documents, including those that guide ethical behavior and training. There are precedents to guide us. To truly engage in best practice, we must begin with self-care. Abenavoli, R. M., Jennings, P. A., Greenberg, M. T., Harris, A. R., & Katz, D. A. (2013). The protective effects of mindfulness against burnout among educators. The Psychology of Education Review, 37(2), 57–69. Carter, C. (2015). 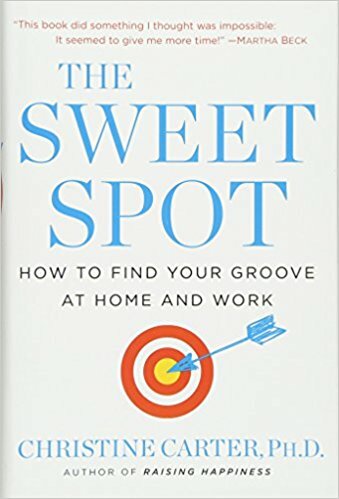 The sweet spot: How to find your groove at work and home. New York, NY: Ballantine. Davidson, R. J., & Begley, S. (2012). 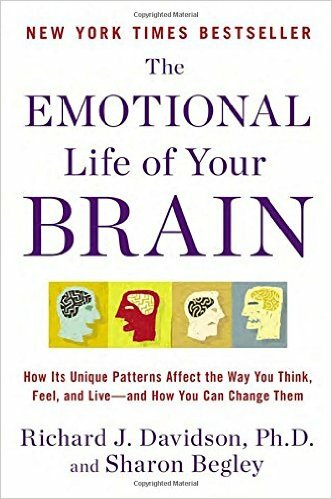 The emotional life of your brain: How its unique patterns affect the way you think, feel, and live—and how you can change them. New York, NY: Penguin. Hanson, R. (2013). 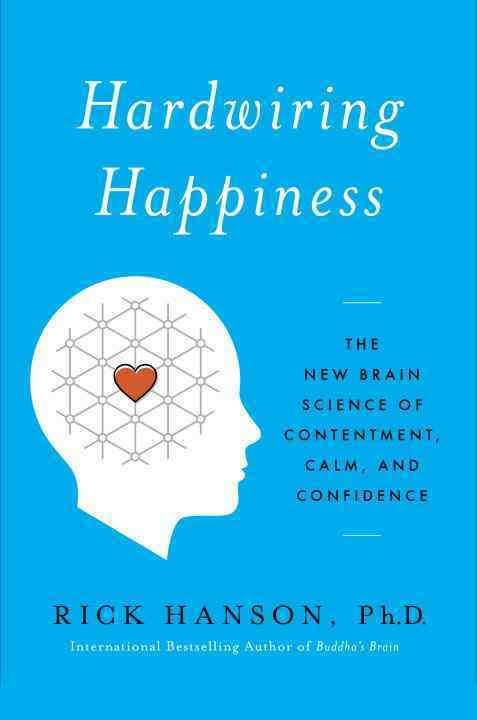 Hardwiring happiness: The new brain science of contentment, calm, and confidence. New York, NY: Crown Publishing. Hatfield, E., Cacioppo, J. T., & Rapson, R. L. (1993). Emotional contagion. New York, NY: Editions de la Maison des sciences de l'homme. Hiatt, J. M., Creasey, T. J., & the Change Management Learning Center (2003). Change management: The people side of change. Loveland, CO: Prosci Research. Montgomery, A., & Schore, A. N. (2013). Neurobiology essentials for clinicians: What every therapist needs to know. New York, NY: Norton. Newberg, A. B., & Waldman, M. R. (2010). How god changes your brain: Breakthrough findings from a leading neuroscientist. New York, NY: Random House. Presented by Bernard Franklin, Ph.D. Description: The prevalence of children impacted by mental health and trauma is evident in nearly every classroom. The lived-experience of these students challenges their ability to engage in classroom instruction, follow directions, comply with the school code of conduct, develop relationships and learn. Students impacted by trauma are two and a half times as likely to be placed in a special education program. Educators implementing trauma-sensitive school practices are seeing amazing results, including dramatic decreases in suspensions and referrals, as well as dramatic increases in attendance, academic success and graduation. For all these reasons, using the practices of trauma-sensitive schools is a must for all schools. Participants in this workshop will learn about the impact of developmental trauma on students, its relationship to mental health and how that manifests itself in the school setting. Strategies for creating support and “buy-in” for incorporating trauma-sensitive schools’ principles and practices at the school and district level will be discussed. The necessity of using a growth mindset and “trauma lens” when planning for and working with these children will be emphasized. The presenter will make the case for a perspective shift from asking the student “what is wrong with you?” to “what happened to you?’ or “what do you need?” as an essential component to successfully address the students’ needs. Trauma-sensitive principles and practices that assist the teacher and the students manage their anxiety, dissociation, need for control and hyper vigilance will be shared. Participants will acquire trauma-sensitive tools and strategies to use in the school setting and leave this session with a list of resources to utilize in the ongoing work of creating a trauma-sensitive classroom and school. This professional development workshop will also provide a “high view” of empowering, connecting, and correcting principles. More opportunities for professional development is encouraged to take teachers and caregivers to a deeper more comprehensive level of training. Description: Healthy and happy educators create the best environment and provide the best instruction for students. However, working with students who are impacted by trauma, toxic stress, mental health issues and behavioral problems is very challenging. Many of our school staff, including student support, teachers, paraprofessionals, and administrators, give their heart and mind to their work every day. Staff can only give more than they receive for so long before they begin to suffer from burnout and compassion fatigue. These real issues and their causes will be explored in this session. Participants will learn about tools to assess and address these concerns while building resilient professionals. The pro-active strategy of embedding self-care into a school’s culture and climate will be discussed as the most efficient and caring way to support all staff and keep them at their very best for their students. · Understand the impact on staff of caring for students with significant emotional & trauma-related needs. · Understand compassion satisfaction and compassion fatigue. · Process of determining one’s personal level of compassion satisfaction or fatigue and creating a self-care plan. · Incorporating self-care into the culture of the school. 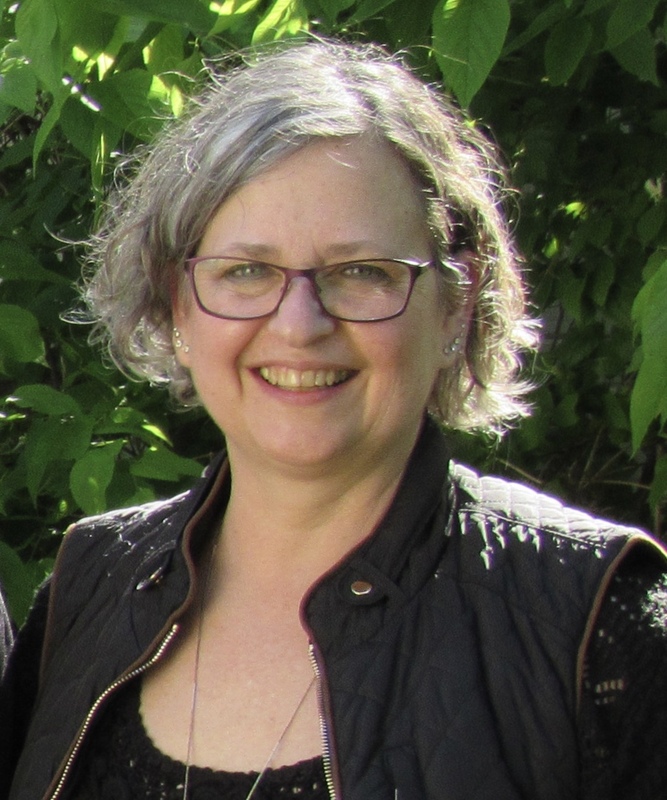 Rebecca Lewis-Pankratz understands the needs of our poorest kids and parents after transitioning from the culture of trailer parks herself only a few years ago. She is engaging directly with school districts to assist in finding resolutions to student poverty. Hear the story of Rebecca's incredible journey out of generational poverty as a single mother. Learn how she is leading the way in numerous Kansas communities to do the same for our students and families who are living in survival mode. Come be part of the conversation driven around solutions - ensuring that for many of our kids, poverty does not have to be the destination! Presenters- David P. Hurford, Ph.D.; Brogan Hoover, Ed.S. Reading failure continues to be an enormous difficulty. Academic and later career success is dependent upon reading skills. Dyslexia affects nearly 20% of our nation students. This session will discuss the nature of dyslexia, its characteristics, reading acquisition, writing systems and the role that the English Writing System plays in reading failure. Presenter- David P. Hurford, Ph.D.; Lauren Renner, Ed.S. ; Cody Lindbloom, B.S. Approximately 1 in 5 students in each classroom across the nation have dyslexia. Dyslexia is one of the most important topics being discussed today with legislation being enacted or considered in most states. This session will present information concerning the appropriate intervention strategies and curricula designed for students with dyslexia and reading disabilities. Presenter- Ann K. Rogers, Ph.D. This presentation will survey risk and resilience factors often associated with the population of students who present with learning disabilities, and will offer a twofold strategy for school action: effective assessment and evidenced based intervention. The cognitive effects of trauma often undermine the academic functioning of children. This presentation will review the data that supports this contention. It will also pose an innovative approach to addressing this problem: Cogmed working memory training. Executive Functioning: An Issue for General and Special Education. 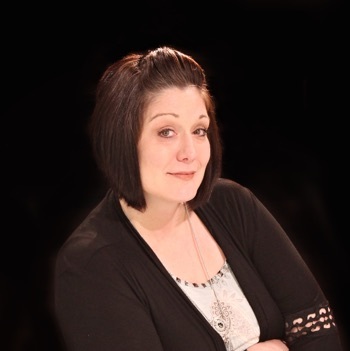 Presenter- Michelle Peacocke, Ed.S. ; Werner, Jackie Stencil, Ed.S., Sarah Richards, Ed.S. This presentation is intended to examine the impact that Executive Functioning development has on students in both general and special education settings. A variety of resources will be defined, explored, and used to inform staff regarding Executive Functioning skills and the impact in the educational setting for both students and staff responses. This presentation attempts to provide information to assist special education professionals in having information to consult and collaborate, impact instruction, and address the socialization and life skill development of students both in special education and general education settings. Participants will leave this presentation with a clear understanding of how create an atmosphere where behavior is greatly improved throughout a classroom, building or district by (1) establishing a rubric‐based behavior curriculum, (2) focusing annual goals on the behavior curriculum, and (3) using analytical rubrics to manage behavior annual goals. Participants will leave this session with a clear understanding of how to use a variety of assessments, activities, and tasks to help students with mild disabilities (1) learn about their wants, interests, strengths, and needs, (2) identify meaningful postsecondary goals and (3) take ownership for reaching their goals. Participants will be exposed to various ways to discover strengths in children and adolescents. To find strengths, participants will complete strength-building activities, many of which are developed from the Solution Focused Brief Therapy approach and work very well in the school setting. This presentation will provide an overview of the WMLS-II and a discussion of how to use the tool along with the WJ-IV Oral Language to determine language dominance and inform the evaluation process. Education and healthcare have been moving toward live, online services over the past several years. Ability and achievement assessments, however, have not yet made the leap. Why? : because we don’t yet know if remote assessment of these areas yield accurate results. This presentation will outline the study methods, results, and implications for current and future use of the Woodcock-Johnson IV COG and ACH to in-person administration. Two People's Experiences in Special Education Throughout All Educational Settings: What Can We Learn to Help Our Students? REGISTER NOW FOR THE FALL 2017 CONVENTION. ONLINE REGISTRATION IS PREFERRED. CLICK HERE. LINK WILL TAKE YOU TO ONLINE REGISTRATION. IF PAPER REGISTRATION IS DESIRED, CLICK HERE. REGISTRATION FORM SHOULD DOWNLOAD AND BE AVAILABLE FOR PRINTING. 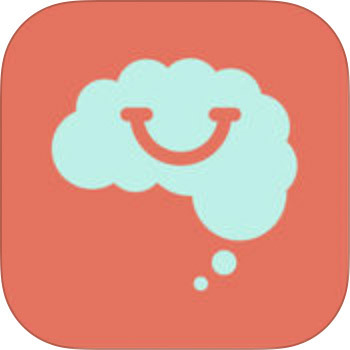 2013 TED Talk by Dr. Rick Hanson, Neuropsychologist and author of Hardwiring Happiness: The New Brain Science of Contentment, Calm, and Confidence. 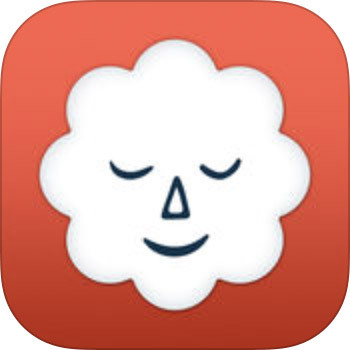 This app comes packed with features, including a five-day guided meditation practice, meditation reminders, personalized meditation offers, and timers for keeping you on track. There’s even a health app integration capability. 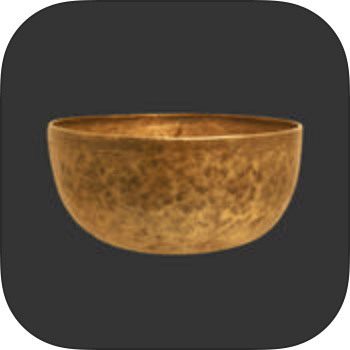 This is the gold standard app for anyone serious about the practice of meditation. 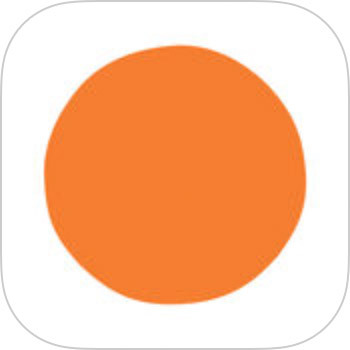 Headspace is a great app for people just starting out, with 10 newbie-focused 10-minute meditation exercises, known as Take 10. It’s designed to help you quickly understand what the practice is all about. There’s also a personalized progress page, a reward system for continued practice, and even a buddy system for you and your friends to help each other stay on track. Once you’ve completed Take 10, the app contains other meditation exercises that can be purchased in the app. With Calm, you can choose from an assortment of guided meditation experiences. The selections range from three-minute to 25-minute sessions. Another option is Daily Calm, a 10-minute program you can practice right before your day begins or as it’s about to end. 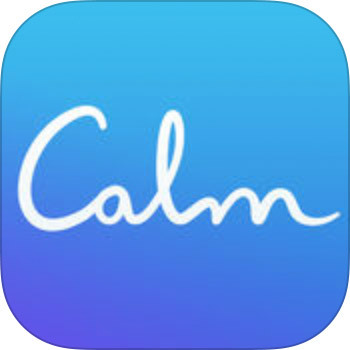 Other features include more than 20 sleep stories, breathing exercises, unguided meditations, and more than 25 soothing sounds to help you get to sleep. Looking for a place to manage your fitness routine? MINDBODY is where you should start. Users can search and book a multitude of fitness classes like yoga, Pilates, barre, or CrossFit. The app is also an excellent resource to test the waters with a new trainer, class, or studio. You can manage your fitness routine through an exercise tracker. There’s even a section where you can access discount deals for exercise classes. 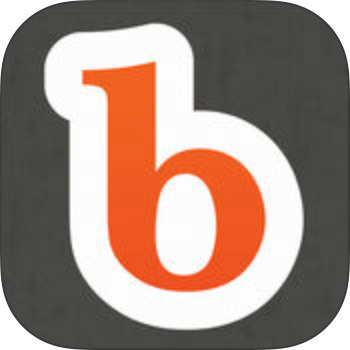 Users have access to over 11 hours of custom meditation with buddhify. What’s really unique is that each exercise is tailored to target a specific aspect of your life. Need help going to sleep? The app has you covered. Need help staying offline? Check. Need a work break? It’s here. The tracks range from 5 to 30 minutes. A check-in system lets you evaluate how well you’re meditating and tracks your progress overtime. 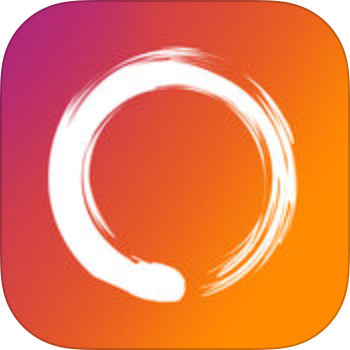 This meditation app features over 4,500 free guided meditations from over 1,000 meditation practitioners. It also features 750 meditation music tracks. Insight Timer also lets you customize your intervals and background sounds so that your meditation session is exactly what you’re looking for. One of the most interesting things about this app is that it’s not just for adults. The meditation content is sectioned in different age groups. Children as young as 7 can use the app as well as adults of any age. Families are encouraged to create sub accounts so they can manage everything in one app. There’s also a section for educators, at a variety of grade levels, so they can use the meditation exercises in the classroom. 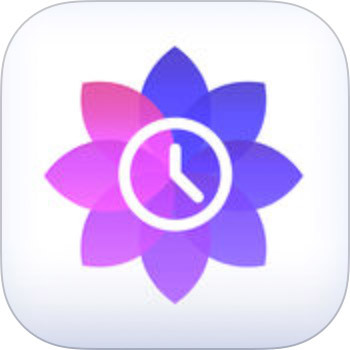 Meditation Timer Pro is meditation in the most classic sense. No bells and whistles here, just solid exercises designed to let you get the most out of your practice. Users can use the default options available or create their own specialized package. This includes customized start and stop chimes and background noise. Users can also program the app to log their meditation automatically to better keep track of their progress. Sattva is all about inspiring you to meditate every single day. The app carries a host of unique features. Along with the standard components of pre-loaded guided meditations and chants, timers, and mood trackers, users can also check their heart rate and receive “trophies" for taking on new challenges. 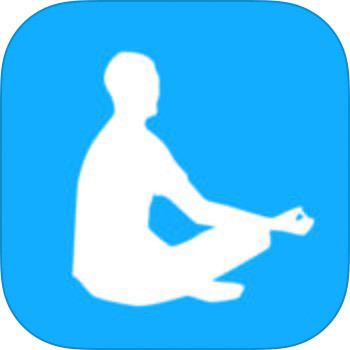 The app also does a great job of explaining why and how meditation can be an important and necessary component to improving your life. New features let you integrate with the iPhone’s built-in Health app. Really, the title says it all. With over 55 guided meditation selections — for both the beginning and end of your day — a daily mood tracker, plus the capability to customize chimes, Stop, Breathe & Think is a meditation mecca. The exercises focus on compassion, sleep, depression, and anxiety. Users can record their daily practice and track their progress throughout the year. "As a school psychologist, there is the opportunity to influence the trajectory of so many kids. Not just the kids that you work with directly, but also with the conversations you have in schools with teachers, principals, helping to guide procedures and policies, and helping schools be more effective than they currently are." Kyle Carlin is currently the Past-President for KASP and has served on the KASP Board since being elected as the Western Regional Director in the Fall of 2012, during his second year as a practicing school psychologist. He then began the 3-year cycle of President. Kyle initially became a member of KASP in September of 2008, as a senior in college, which was also the first year he had attended the KASP Fall Convention. Kyle reported that KASP has provided connections with other professionals, has provided quality professional development for application within his everyday practice as a school psychologist, and has shaped how he approaches his practice within the schools. Kyle is also a member of NASP, becoming a member in the first year of his graduate school education. He shared that NASP has also played a role in his development as a school psychologist, providing communities for topics of interest (e.g., Autism Spectrum Disorder; Behavioral; Rural School Psychology), access to resources, publication of the Communique and journals, and helping him to stay up-to-date on what's going on in school psychology. Kyle reported that it is "important to have the resources to stay in touch with what's going on, being able to seek out more information if needed." He reflected that it is necessary to continue to grow as a school psychologist and having access to those resources is important to allow efficacy to continue to develop. Kyle initially was a computer science major attending Colby Community College, but quickly found that the classes did not meet his interest like he thought they would. He had taken a few psychology classes, which interested him, and ultimately decided to go into psychology by the 2nd semester of community college; however, he wasn't sure what options there were for psychology. A professor from Ft. Hays State University came to talk to one of his psychology classes, introducing school psychology as an option for him. The idea of working with children, being able to work in the school near where he grew up, and providing mental health services int he schools was intriguing to him. Kyle committed to the school psychology program during his sophomore year and obtained his Associate Degree in Psychology at Colby Community College. Kyle then attended Ft. Hays University ultimately obtaining this Bachelor's of Arts in Psychology, his Masters of Science in School Psychology, and his Ed.S. in School Psychology (2011) at Ft. Hays University. Once he knew that he was on the track for school psychology, he began focusing his electives on more education-based classes (e.g., Philosophy of Education; Educating the Special Needs Child), making sure that the additional classwork would allow for a stronger background in education. Kyle completed his internship year with the Southwest Kansas Cooperative out of Ensign (Dodge City). After working as a school psychologist intern, Kyle reflected back on his education and preparation for being a school psychologist. He noted that there was a lot of preparation for assessments and Special Education Law; however, the process seemed somewhat fractured and not as connected to the evaluation process. As a first year school psychologist, the process of putting together an evaluation was "very foreign", wasn't as clearly defined in completing an evaluation in the school setting as it could have been, which resulted in some struggles applying the information that was learned at the college level; however, he quickly connected the dots on how to make the evaluation process work in the school setting. 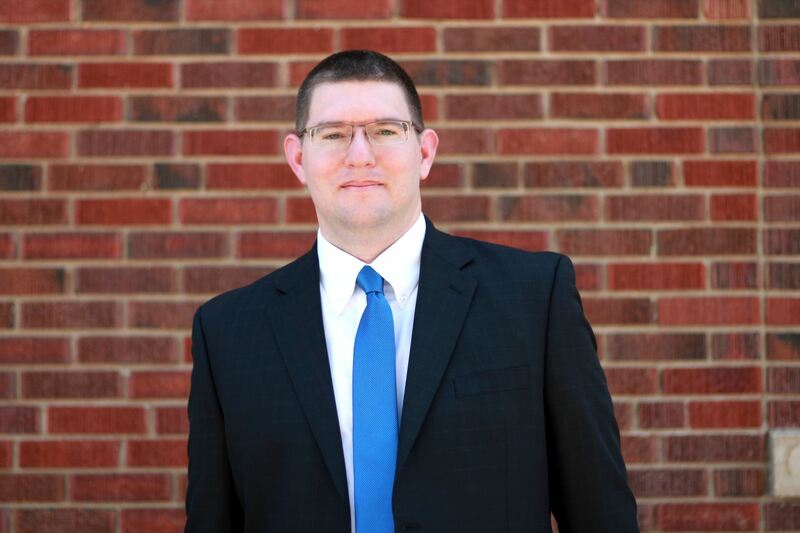 While working for 3 years in the Northwest Kansas Education Services Center out of Oakley, KS and living in Hays, KS, he continued to seek employment closer to his home. He has since worked for the Hays USD 489 School District for the past 2 years. He is with a COOP, providing services at an elementary school in Hays, KS with responsibilities at the Learning Center. He also supports an alternative high school, which is not a special education school but does have several students with IEPs. He also supports LaCrosse Elementary, Middle, and High School (about 250 students across the K-12 level) and the Lincoln Elementary School (280-290 students). His caseload is approximately 1:600, with a large number of students with intensive needs, as well as at-risk students, and students with significant behavioral challenges. During the 2016-17 school year, Kyle finished his 6th year as a school psychologist. As Kyle reflected on his career as a school psychologist, his favorite parts of the profession have been the flexibility that it provides in his schedule, and the different roles that might be played in different buildings. He has worked with Kindergarten through High School students, and has found that while "every day is similar, it's never the same day twice. If I had the same schedule every day, I would go crazy." With the variability from day to day, there is a lot of organization that goes into maintaining a calendar and his "to do" list. Challenges as a school psychologist included being in so many different buildings. Kyle shared that he frequently has before and after school meetings, including Student Improvement Team (SIT) meetings, as well as Individual Education Plan (IEP) meetings. He also has several meetings during the school day to discuss student needs and to support staff. He tries to schedule 1 or 2 testing sessions each day, as well as observations in 2 or 3 classrooms, including those students in evaluation or students in the SIT process. Kyle works hard to be visible in the schools as a resource that can be easily accessed. Kyle also tries to schedule report writing time within the day, finding that if he schedules the time to actually sit down and write a small section of the report, it's not so overwhelming to complete the report by the time of the staffing meeting; however, there are times when it "all piles up." Kyle's duties also include consultation with teachers, developing interventions or suggestions of interventions to try, having the quick conversations in the hallways to check-in on how things are going, and then is also the chair of the SIT meetings in his buildings. Kyle reflected on the challenge of learning the culture of each building and developing the relationships necessary to be effective as a school psychologist. He noted that there is "value in school psychologists being in the same location each year." He noted that because the role of the school psychologist is as an itinerant, being in a building perhaps 2 or 3 days a week, it often takes several years to "develop the same level of relationship as someone in a building every day." Kyle noted that being able to deal effectively with school politics, critical issues that occur within each building, and addressing behavioral concerns that increase stress in relationships is impacted by the school psychologist's ability to develop relationships with those that they work with. Once relationships are built, building a level of trust, this allows for the school psychologist to work more effectively and efficiently within each system, with staff members being more willing to attempt new ideas or interventions to impact the individual student as well as the school as a system. The Student Improvement process follows the 3-tiered structure, including classroom interventions, parent contact and input, and professional time to brainstorm. Level 3 is more formal and is still being developed, with Kyle guiding the process and helping staff to understand the data that is needed. He spends a large portion of time with general education supports, but continues to spend at least 80% or more of his time on evaluation and IEP meetings. Kyle has found that it can be an advantage for him, as a male in the school, providing an opportunity for a strong male figure in the life of students or providing the connection that students are missing. He typically counsels 2 or 3 students at any given point, mostly focusing on self-regulation skills, cognitive behavior strategies, and solution-focused strategies. He attempts to engage the students in the learning process, working through the Social Emotional Learning process, helping them to develop the skills they need to cope with everyday life challenges. In addition to being a Board Member of KASP and a practicing school psychologist, Kyle is also a published author. He had been thinking about how to use his training and knowledge as a school psychologist for several years, focusing on the possibility of a book but wasn't sure what to write about. His work with Head Start parents who wanted to help their children develop social emotional skills, but being unsure of how or what to do, led him to write a book to promote the skills. His book, entitled Bug and Boo, was begun approximately 2 years ago, using the nicknames of his own children "Bug" and "Boo". He was inspired at a NASP Leadership training regional meeting, meeting a fellow school psychologist whom had written Greatness is my Superpower. Through his conversations, he was able to find a path to completing his book, and that it was an achievable goal. Bug and Boo is a children's book for ages 3-8 that is intended to support the teaching of social emotional skills by introducing concepts to children and providing specific strategies that caregivers can use to help children understand and use the skills described in the book. 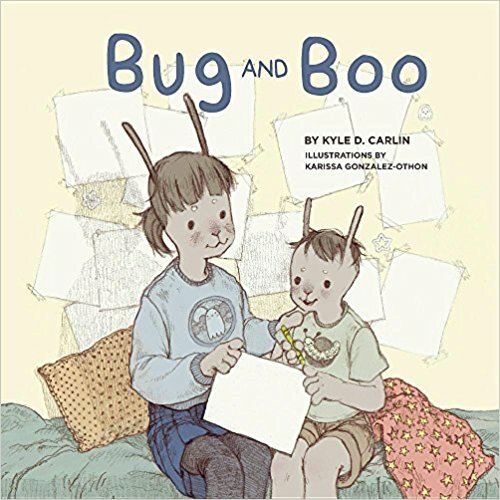 With a focus on an engaging story and characters children can relate to, Bug and Boo hopes to become a staple in homes, preschools, child care facilities, and early elementary school classrooms. Kyle joined the #psychedpodcast streamed on February 12, 2017 to discuss his book and work in the schools. Kyle was also featured in The Hays Daily News reviewing the publishing of his book. 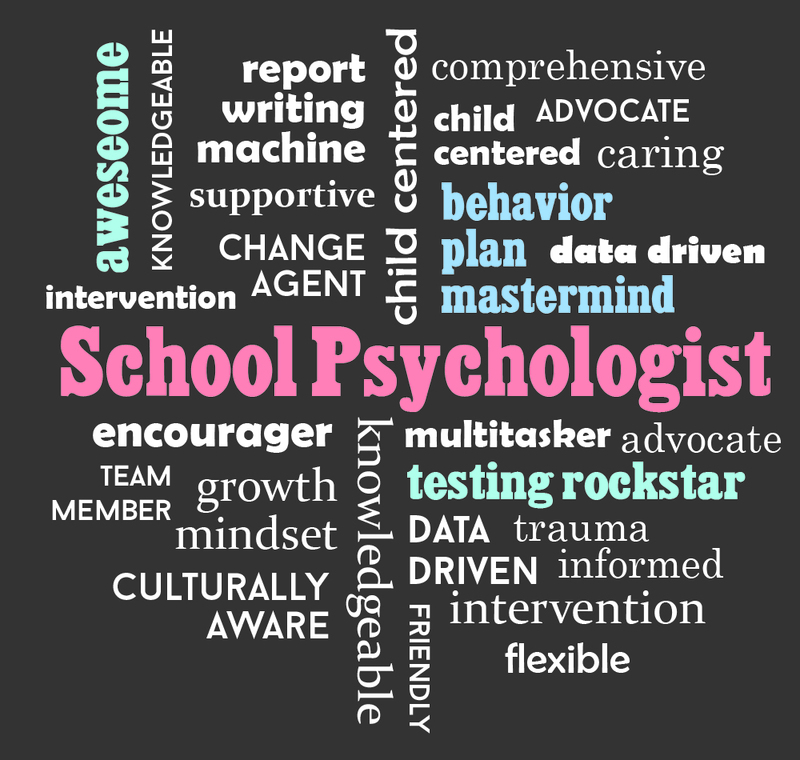 Kyle was asked to reflect on the recruitment of students for the field of school psychology, answering the question of "Why become a school psychologist?" "As a school psychologist, there is the opportunity to influence the trajectory of so many kids. Not just the kids that you work with directly, but also with the conversations you have in schools with teachers and principals, helping to guide procedures and policies, and helping schools be more effective than they currently are. When you can change reading outcomes for a 2nd grader, setting them on a different path to get to college or success as an adult, that's a pretty big influence. That influence expands for 500 to 1,000 kids. It's pretty amazing to have that level of influence. The work we're doing is creating the next generation of leaders in our community. Just as with other teachers and people working with kids, school psychology can have it's frustrations and stressors, but it also has incredible moments of happiness and pride. When you see a "lightbulb" click for a kid or something that you and your colleagues have successfully achieved, being able to see kids overcome behavioral challenges or difficulty with math facts or reading, seeing the overall growth that kids make and knowing that you have played a role in that success. 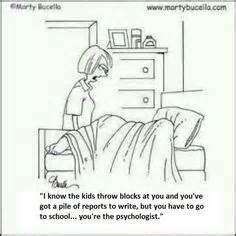 That's what makes being a school psychologist so rewarding."